We’d love your help. Let us know what’s wrong with this preview of Hives in the City by Alison Gillespie. Hives in the City tells the story of urban beekeepers working in the cities of the Mid-Atlantic region of the US. They keep their bees in surprising locations -- sometimes with surprisingly good results. But just as in other locations, bees in the cities often struggle. 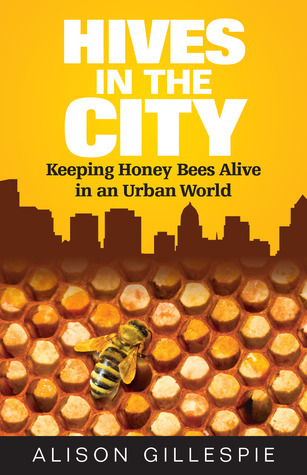 This book includes anecdotes about urban beekeeping, urban honey, research on Colony Collapse Disorder, Hives in the City tells the story of urban beekeepers working in the cities of the Mid-Atlantic region of the US. They keep their bees in surprising locations -- sometimes with surprisingly good results. But just as in other locations, bees in the cities often struggle. This book includes anecdotes about urban beekeeping, urban honey, research on Colony Collapse Disorder, and information for those who want to help the bees. To ask other readers questions about Hives in the City, please sign up. This book is very informative and breaks everything down very nicely. As someone who farms and gardens it was nice to "hear" that what I have been doing with my garden as actually correct for the bees, even when you see them you are not sure you are helping.